Zealous System is a prominent ASP.NET Core development company with years of hands-on experience in developing modern solutions for web, mobile, cloud, desktop, IoT, and more. What’s more is that we’ve proven track record of building customized and flexible business solutions that are backed by powerful APIs, and are user-friendly while at the same time maintaining optimum performance and scalability. Agile. cutting-edge. customized. scalable. Time-tested. 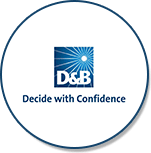 We help our clients build cutting-edge, customized solutions with unique Test Driven Development process. We’ve helped dozens of enterprises and businesses to gain huge benefits in terms of saving time as well as costs by identifying, designing, developing, and optimizing ASP.NET Core Applications and Solutions. 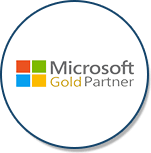 Being a Microsoft Gold Certified Partner, we have earned the privilege to deliver best-in-class solutions to our clients worldwide. The magnitude of holding such a status means that we adhere to Microsoft’s guidelines and principles in regards to its evolving technologies in designing and developing robust and scalable cutting-edge solutions. 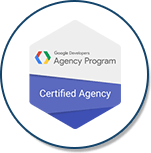 The recognition is a pride for us, which has been made possible after demonstrating high levels of accomplishments and powerful performances, as well as validation of our expertise with Microsoft technologies. 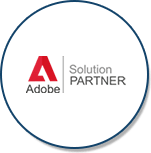 This partnership program ensures that we have access to online technical support, news, updates, and all sorts of useful information from Microsoft. A strategic planning and organizational performance management reporting tool designed specifically for the needs of local government. A comprehensive HR System with all features in a single platform to manage core-HR activities such as Time and Attendance Management, Automated Payroll System, Automated Employee Attendance, Employee Leave Management, and Recruitment Management. A cloud-based web and mobile application which tracks the livestock in real-time from birth till death, maintains Stock Inventory, and Feed Management. It is a Business Intelligence and Planning Solution for Cloud-Based Accounting Systems. It is a platform for all Financial Planning and Analysis integrated with PayPal, which draws inputs from various sources to give unparalleled insights to the users who have subscribed to the module. An all-inclusive school management system which brings teachers, parents, and students on one platform for ensuring secured data and central accessibility.